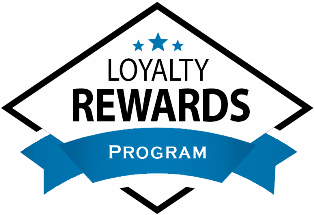 The USA Fleet Supply Loyalty Point Program recognizes, appreciates and rewards our loyal customers. There is no need to sign up or submit any agreements or contracts. Our system automatically recognizes our loyal customers and rewards them on every purchase. You will begin receiving Loyalty Points after your first purchase. Just Create a New Account with us during your purchase. Then just log into your account to collect and redeem your Loyalty Points. Each time you visit our website and complete a purchase (there is no minimum purchase to receive points), you will be rewarded with Loyalty Points. The amount of Loyalty Points given after each purchase depends on the amount of your purchase. You earn redeemable points on every purchase! These Loyalty Points build fast and can be redeemed during any purchase. You can redeem as many Loyalty Points as you wish, at any time. Use some now and save some for later. You can also build up as many Loyalty Points as you wish and cash them in during a purchase to receive your order for free! Create your account now or during your purchase and start earning Loyalty Points now! If you have any questions about our Loyalty points Program, please feel contact us.